Utility Buildings : Savitribai Phule Pune University offers undergraduate, postgraduate and doctoral programs in sciences, languages, social sciences, law, management and other interdisciplinary programs. 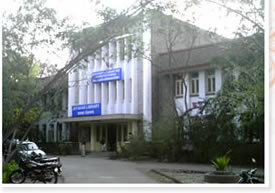 There are a number of buildings on the Campus such as the Administrative Building, Set Bhavan, buildings of various Post Graduate Departments, Students Welfare Department, Competitive Examination Center, Jayakar Library, Humanities Building, Printing Press, Boys, and Girls Hostels, a number of Canteens, a Health Center and a Refectory. (See the Map of the Campus). Jayakar Library is one of the best centers of reference and information in the country. The library subscribes to Indian and foreign research journals, and also receives periodicals on gratis and exchange basis. It has more than 4,50,627 books and Journals on varied subjects. Inter-library loan facility is extended to many colleges, institutions and government agencies. The Jayakar Library has preserved a wealth of ancient Indian texts in the form of manuscripts and books. 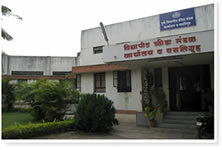 It has computerized all Library activities and using RFID Technology and has undertaken a project in digital library management. The University has a chain of seven Boys' hostels and six Girls' hostels providing accommodation to more than 1221 students. It also has a University Guest House, which is comfortable and well-furnished, and has more than 34 rooms with dining facilities. The Set Bhavan Guest House has 16 single rooms and 16 double rooms with an attached kitchenette. Further, the University also has residential facility for about 115 teaching faculty and about 294 non-teaching staff on the Campus. All the facilities are being restored and renovated in a phased manner. The University Campus has Basketball Courts, four Auditoriums, and an Amphitheater, sprawling parks and gardens, Volleyball Courts, Cricket and Football grounds, Gymnasium and a Sports hostel. The Sports Complex has a large open ground for outdoor Indian and European team-games and athletics. In addition, facilities for indoor games are also available. Accommodation for approximately 80 sportsmen and women has been constructed and plans for further expansion. Fields for cricket and football have been newly made and natural lawn has been laid. Indoor game facilities are being created. A new Olympic size swimming pool is under construction.